Are you feeling this way about your relationship? Can we ever repair things after an affair or cheating? This is an experiential, psycho-educational couple therapy. Most of the information on improving your relationship that you might stumble across at any nearby bookstore comes from people who claim to be experts on relationships. Their ideas and information comes primarily from their own experiences, their relationships, their clinical work and/or their own ideas or theories about how relationships should work. What John Gottman did that was unique was to study real couples. All of the ideas in our therapy at NYCCT are grounded in sound basic research and experimental, randomized clinical trials on what actually works in relationships that are happy and stable. The ideas presented here are not based on someone's wisdom, good ideas, or on any philosophical point of view. 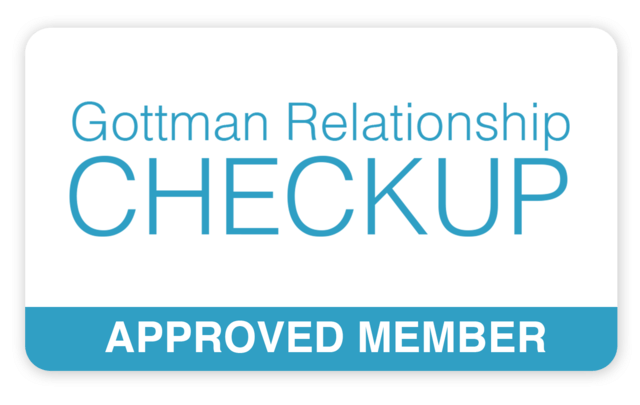 John Gottman began doing basic research on relationships in 1972, and he has observed more than 3,000 couples. Some couples have been followed for up to twenty years. -What predicts people's adaptation to major life transitions, e.g., becoming parents? -What makes relationships work well? -What helps people have access to their sense of humor when fighting? His research was multi-dimensional and extensive. Not only were couples interviewed at length about their relationship, but they were also videotaped while talking to one another about joyful topics as well as discussing areas of continuing disagreement. While being videotaped, their heart rate, blood flow velocity, and sweat outputs were recorded moment by moment. His thorough methods paid off: Gottman's research is able to predict on average in seven studies with over 90% accuracy which couples will divorce and which will stay married, and among those who do stay married, which couples will be happy and which will be unhappy. In the process, John Gottman observed what he came to call the Masters and Disasters of Relationships. He defines the Masters of Relationships as two people who stay together, who report high relational satisfaction and who like and enjoy one another. These relationships are suffused with a much higher percentage of positive interaction, even when discussing a conflict, than a couple in distress. 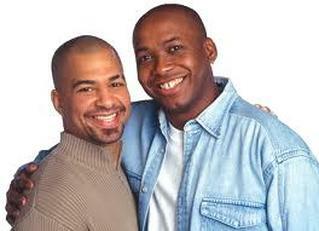 They learned that couples who stay happily married have everyday interactions with one another that are very positive. Secondly, the couples who are happily married are far less negative and more gentle in the ways they handle conflict. Through intervention studies, they learned that these were not just the effect of happy relationships, but also the causes. -The first is to become better friends and increase your positive feelings for one another. -The second is you have to change the way you handle conflict. -The third is to build a sense of shared meaning between you regarding your values and way to connect. Call us today to schedule an appointment for Couple therapy. ​Your emotional love language and the language of your partner may be as different as Chinese from English. No matter how hard you try to express love in English, if your partner understands only Chinese, you will never understand how to love each other. We must be willing to our partner's primary love language if we are to be effective communicators of love. 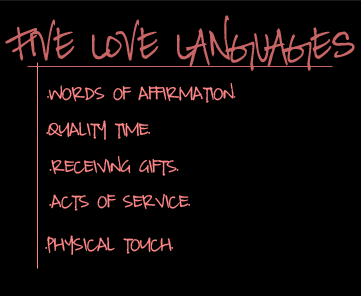 In the book, The 5 Love Languages, author Gary Chapman describes that there are five emotional love languages - five ways that people speak and understand emotional love. In the field of linguistics, a language may have numerous dialects or variations. Similarly, within the five basic emotional love languages, there are many dialects. The number of ways to express love within a love language is limited only by one's imagination. The important thing is to speak the love language of your partner. Could it be that deep inside hurting couples exists an invisible 'emotional love tank' with its gauge on empty? Could the misbehavior, withdrawal, harsh words and critical spirit occur because of that empty tank? If we could find a way to refill it, could the relationship be reborn? With a full tank would couples be able to create an emotional climate where it is possible to discuss differences and resolve conflicts? Could that tank be the key that makes relationships work? SOLUTION: Understanding the five love languages and learning to speak the primary love language of your partner may radically affect their behavior. People behave differently when their emotional love tanks are full. On a scale of 0 -10, how full is your love tank? So whether your relationship has gone stale, or infidelity has caused a painful rift between you, we’re here to help you get your relationship back on track with down-to-earth, yet focused counseling. Using the latest couples and marriage therapy techniques we help you find needed and long lasting solutions. Call us at 347-470-8870 or visit the Contact page to get in touch with us. We'd be happy to help you.